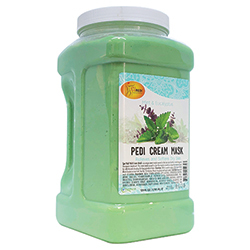 Deep cleansing clay mask that helps remove impurities from feet. Made with cocoa butter and shea butter to moisturize the skin. Leaves feet feeling soft and recharged. 1 gallon.